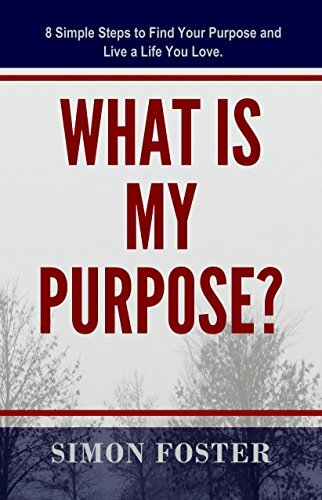 Recommended Reading: WHAT IS MY PURPOSE? Have you ever wondered if life has any meaning? Are you here just to survive a little? Is this life meaningless for you? What if we were created for a purpose? The ambition to discover the purpose of life is nearly as old as mankind. You have the striving desire to demonstrate yourself and others that you actually do have a purpose and that you are very good at it. Unfortunately, many of us just waste our time wondering but never doing anything to discover life’s purpose or the true meaning of life. Start taking action now and get the benefits of discovering your life purpose, the true meaning of your life and discover your personal mission. By doing it you will start finally moving on the right direction to enjoy every second of a new self-designed meaningful life. By DeEtta2007  Posted in Chapter 6 the Human's Manual Instructions, FOOD for THOUGHT, Recommended READING:, Uncategorized, WHAT IS YOUR "CENTER"? Worry. Anger. Loneliness. Negative emotions are uncomfortable by design. Like any good fire alarm, they alert us to a greater danger. But they won’t help us if we try to cover them up, hide them behind excuses, or assume they will always plague us. So what is God saying? How can we understand our emotions—even change them? Schreve shows how the truth of the Bible can make sense of our confusion. The power of the Holy Spirit can lead us to freedom, and Jesus Christ can give us true peace in the midst of any crisis. 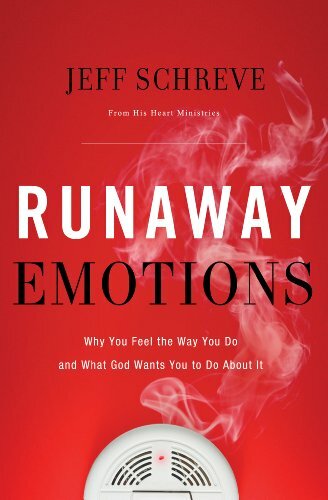 You don’t have to let your emotions run away with you, your family, or your future. Have you ever felt as though you didn’t recognize yourself in the mirror and yet you’re frantically trying to keep that image together? Felt bound by the dreams you had for life that you now realize have forced other expectations on you? Or maybe you’ve laughed at one of those insanely ridiculous moments in the day when absolutely everything goes wrong and no matter what you do, the grand purpose seems elusive. Let’s be honest. We all have a standard in our head that we believe is the perfect Christian woman, wife, and/or mother. Yet, have you ever really examined what that standard is? Yes, God absolutely has standards for what those roles are to be, but is He our source, or is it the peer-pressure-don’t-be-the-odd-one-out-on-Sunday-morning drive to fit in that is driving us away from authenticity and raw faith to outward performance? 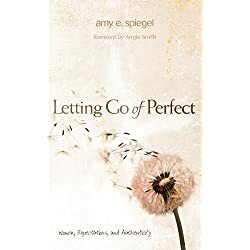 Amy Spiegel knows this struggle well and notes, “so many of the women I know seem to feel the same tension in their own lives, teetering on the edge, praying someone will be there to catch them if they fall.” There is a grand purpose to where you are today; join Amy in Letting Go of Perfect, to look at what it means to truly know the woman in the mirror as well as the God who created, redeems, and equips her. Are You Ready To Receive The Love You Truly Deserve? These aren’t tips and tricks on how to get a man. This book will assist you in taking a deeper look within which will help you prepare and position yourself for the love and man that is truly best for you. Recommended Read: LOVE ONE ANOTHER: 20 Practical Lessons Yes, in Christian Love this is what we do, in marriage, work, friend, & church relationship…if this is authentic, time will tell…or only what’s done in Love will last! So now, is that new relationship, a growth of God’s “love”? 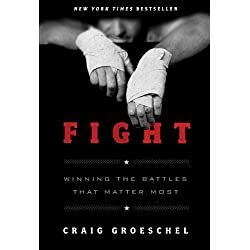 Author and pastor Craig Groeschel helps you uncover who you really are – a man created in the image of God with a warrior’s heart – and how to fight the good fight for what’s right. You will find the strength to fight the battles you know you need to fight – the ones that determine the state of your heart, the quality of your marriage, and the spiritual health of your family. Craig will also look at examples from the Bible, including our good buddy Samson. Yep, the dude with the rippling biceps and hippie hair and a thing for Delilah. You may be surprised how much we have in common with this guy. By looking at his life, you’ll learn how to defeat the demons that make strong men weak. You’ll become who God made you to be: A man who knows how to fight for what’s right. And don’t you dare show up for this fight unarmed. Learn how to fight with faith, with prayer, and with the Word of God It’s time to fight like a man. For God’s Sake, FIGHT. By DeEtta2007  Posted in Recommended READING:, Self Introspection brings Understanding and Healing and Wisdom-but its hard tedious work. You game?, WHAT IS YOUR "CENTER"? When strangers meet today they often ask not, “What do you do?,” but “What is your story?” Everybody has a story. And everybody on the planet believes some larger story in order to make sense of the smaller story of their life. We want our lives to fit within a larger plot-complete with a sense of history, conflict resolution, forward movement, and future. Most people believe false stories that leave them disillusioned, enslaved, and hopeless. Secular stories of chasing success and religious stories of doing good works can both leave us feeling exhausted and empty. 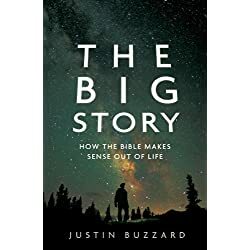 Only Christianity, only the old and ongoing story of the Bible, offers a story that’s big enough to make sense of both the beauty and brokenness in our lives and in our world. At the center of this story is a God who disturbs our life in order to set us free. By DeEtta2007  Posted in Recommended READING:, WHAT IS YOUR "CENTER"? Listeners to Susie Larson’s radio show and women she meets at events across the country tell her the same thing: I want to do something meaningful for God, but I don’t know what to do, or how. 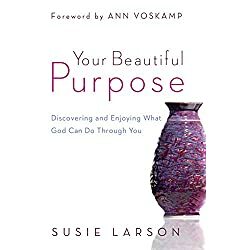 Drawing on her own hard-earned experiences, Larson shows readers how to overcome insecurities, busyness, and other obstacles in order to focus their gifts and passions on their unique God-assignment. 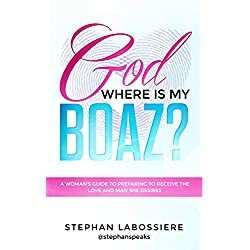 With biblical insights and inspiring stories from a variety of women, this action-oriented guide will speak to every woman who has felt a nudge from God – from the visionary who wants to end poverty to the empty-nest mom who feels called to help the young single mother next door. By DeEtta2007  Posted in Recommended READING:, Self Introspection brings Understanding and Healing and Wisdom-but its hard tedious work. You game?, TRUST, Uncategorized, WHAT IS YOUR "CENTER"? Theology is important because what we believe affects how we live. If you’re a relatively new believer in Jesus, or if you’re a more mature Christian looking for a quick brush-up on basics of the faith, Christian Beliefs is for you. 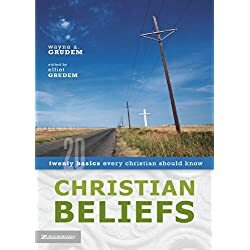 This readable guide to twenty basic Christian beliefs is a condensation of Wayne Grudem’s award-winning book on systematic theology, prized by pastors and teachers everywhere. He and his son, Elliot, have boiled down the essentials of Christian theology for the average layperson and made them both clear and applicable to life. You will learn about the Bible, the characteristics of God, what it means that we are created in the image of God, what God has done for us in Christ, the purpose of the church, and much more. Each chapter includes questions for personal review or group discussion. What can you do when your well-laid plans fall apart and life takes an unexpected turn? Brenda Warner is best known as the outspoken wife of NFL superstar and Dancing with the Stars alum Kurt Warner. But years earlier, she found herself living through any woman’s nightmare: a healthy baby tragically injured in the bathtub; a sudden end to a career she loved; betrayal and divorce; poverty; public humiliation; a deadly natural disaster that destroyed her foundation and shook her to her core. 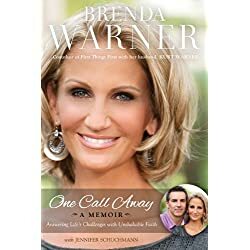 One shattering phone call at a time, Brenda Warner’s life came to resemble little of her dream. But each time her plans fell apart, Brenda faced a choice: to collapse in the face of tragedy or press forward and survive. She chose to keep going. In the process, she’s learned that the unexpected is only one call away. Her story provides hope and encouragement for anyone facing life’s challenges and shows us that our circumstances don’t tell us who we are, nor are they a measure of God’s love. God has a plan for us, even when our plans fail. Brenda’s life is proof that sometimes the best dreams are not the ones we dream, but the ones that come true when we least expect them. 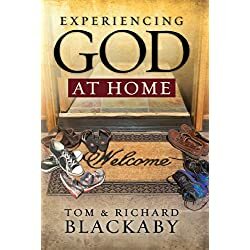 Amazon.com: The Blessing of Adversity: Finding Your God-given Purpose in Life's Troubles eBook: Barry C. Black: Kindle Store. When hard times strike, we look forward with longing to the day when we will “get over” the event and have closure. This is a difficult – often impossible – road to travel. There are some things in life that we must learn to live with because they will never truly go away for good. Despite that truth, there is life – rewarding and abundant life – after heartache and pain. 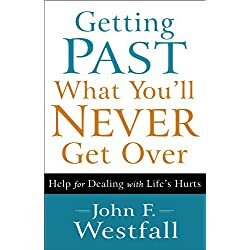 John F. Westfall leads readers beyond their hurts and into a life of confidence, freedom, and secure joy. Sharing stories with wisdom, humor, and vulnerability, he shows how to move forward beyond fear, regret, guilt, anger, and bitterness into a life worth living.